Bulgaria is a beautiful country, with unspoilt countryside and predictable climatic seasons. It is a relatively one of the cheapest countries in the world to buy property. Property in Bulgaria has increased in value more than any other country in the world over the last few years and is predicted to continue for years to come. Economically, Bulgaria now has one of the fastest growing economies in Europe. How do I buy land in Bulgaria? In order to buy land in Bulgaria you must have a Bulgarian registered company (However, this may not be necessary when Bulgaria in a few years time). This can be set up in a few hours and will cost 600 euros. You can then buy and own as much land as you like. Do I have to set up a company if I’m buying an apartment? How do I go about finding the right plot? Location, Location, Location! - the same as anywhere in the world. Eurobuilding Engineering Ltd can help you with your search, but it is highly advisable to visit the country. It is advisable to have a Bulgarian contact in the country that can meet you at the airport and show you around – something we provide! Deciding on a region – where to go? What do you want from your property? If you know this it will be easier to decide where to start looking. For rentable potential you will have to consider where people will want to visit or stay. However, if you are retiring or choosing to live/work in Bulgaria your requirements will be different. Do you want to be near the major town, airport or maybe a golf course? Bulgaria has 4 international airports: Sofia (the capital), Varna and Burgas (coastal airports) and Plovdiv (approximately in the geographic center of the country. Which airport you choose to fly to will be determined by where you want to buy. If you decide to buy through us we will pay for your flight and accommodation! Are there budget airlines operating yet? Yes. One of the recent ones is Wizzair. Having found and purchased land or an apartment, how easy is the process? If you buy an apartment the process is very easy. There is no need to set up a company. All you do is sign a contract with the developer or the vendor and pay them (depending on whether it is a resale or off-plan purchase). If it is an off-plan development you will be given start and end dates and a contract that indicates the staged payments for the build. If I buy land, how easy is it to build? As long as the land is regulated (regulating land usually take 6 -12 months), building can start as soon as you have decided what you want to build. There maybe some restriction imposed by the municipality and planners (i.e. number of stories etc. ), but these will have been highlighted before purchase of the land. What style of house can I build? Again, this may be restricted by regulation, but most styles are allowed. Eurobuilding Engineering has a wide selection of pre-designed styles and plans already put in place. However, you can have your own house designed and passed by regulators. Costs of Materials (you may choose cheaper or more expensive materials to build with). Alterations to original plans that will extend the labour time and increase material costs. However, you will have decided all of these things before the build and discussed them with the developer. This will then be written into a legally binding document that both parties will agree and sign to. Indeed, if the developer does not uphold is part of the contract he is liable to penalties. Do you have a choice of building materials? Yes. You will be asked throughout the build what you prefer. Can you choose fixtures and fittings? Yes. A range of fixtures and fittings will be shown to you or you can find your own. Can this all be done over the internet? The whole process can be done over the internet! Can Eurobuilding Engineering Ltd help me with furnishing my house? Yes. We can show you a wide range of fitted kitchens and furniture. Will Eurobuilding Engineering Ltd be able to help with external building work and landscaping? Yes. This will be done with high quality wood or PVC units that come in white and brown. What form of heating system can the house have? Heating can be done in many ways, as in the UK. Water can be heated by an electric boiler, or if you prefer, a traditional wood burning stove or open fire (or a combined system). Heating of the house can be done via modern A/C units, open fire, wood burning stoves or a central heating system. What is the waste disposal system? This can be achieved through a septic tank or mains sewage. What is the water supply? As in the UK, water is delivered to the house via mains water supply. However, in addition to mains water most villages have fresh spring water of comparable quality to any bottled water you can buy! This may be free gratis. The same as you would in the UK. Simply set up a debit bank account in Bulgaria and pay through the bank. Yes. However, how quickly you get one and how much it costs will depend on where you are located. If you are close to a village that already has an existing system, then there will be fewer problems. Although pay as you go mobile phones are an alternate solution in the short term. They are relatively cheap and reception is good in most areas. Does Bulgaria have Capitol Gains Tax? Will I get a building guarantee? Will I be protected financially if the developer goes bust? Yes. All reputable developers must have bankruptcy insurance. 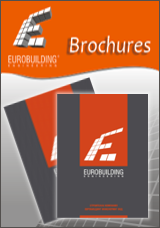 – Eurobuilding Engineering Ltd is covered by this. Are buildings built to a set standard? Yes. New EU legislation states that all new buildings must be inspected by an independent surveying body. What are the typical maintenance costs for a property?